Eventually, all families end their Early Intervention services. Many families and their children move on to other community programs. Moving from one program to another is often referred to as a transition. By law, your involvement with the Montana Milestones/Part C program must end no later than your child’s third birthday. Before age three, you and your Family Support Specialist need to plan for the move from the early intervention you are receiving to those you need in the future. Your child may leave the Montana Milestones/Part C before age three. 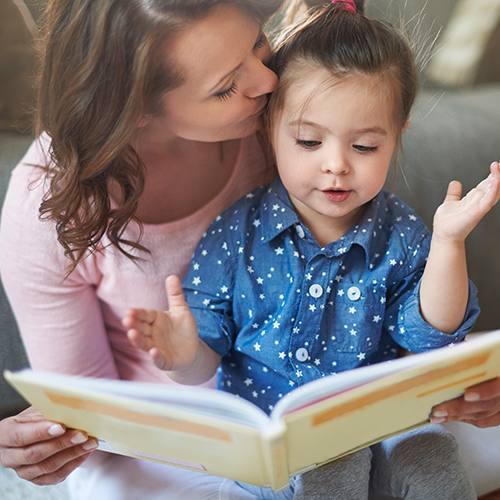 Your child may be eligible for Preschool Special Education services through your local public school district or Special education cooperative by age three. Your child will transition to other available support in your community at age three. Your child’s Family Support Specialist will assist you and your child as you move to the next place, or setting, smoothly and on time. Six to three months before a child’s third birthday, the Individualized Family Service Plan (IFSP) team must meet to plan the child’s transition from the Part C Early Intervention program to Part B Special Education. Some children will not need any more special services, others will move into the preschool special education program from the local school district or co-op. Other children may need services from more local programs such as Head Start or a community childcare center. Some families will continue to get services from their early intervention agency. However, these state-funded services are limited, and are not covered by federal law. When children need preschool special education, a joint planning meeting (or meetings) must occur at least 90 days before the move from Part C Early Intervention programs to the Part B preschool special education. Since eligibility rules are not the same between the programs, combined meetings help the professionals who determine eligibility for Part B preschool special education services. The child may be eligible for other discretionary (not required by law) disability services. Assist your family through the transition process. The “core team” of the Transition Planning Meeting includes parents of the child, the family’s Family Support Specialist, and a representative of the local public school or special education cooperative. Assist the child and the family to begin to develop a trusting, effective working relationship with the staff and administration of the preschool special education program. Develop a plan for transition. The family may or may not decide to refer their child for evaluation for preschool special education after the transition planning meeting. The infant and toddler years go by quickly. Begin to plan early for your child’s next step at age three. 2. Be part of the transition planning team. Play an active role in the decisions made about your child’s transition. 3. Know and understand your child’s educational rights. When you sign the form to have your child evaluated by the school district, your school district will give you a copy of “Parents Rights in the Special Education Process.” Read the booklet. 4. Know and understand the responsibilities of the school district. Preschool special education is very different from the early intervention program. It is important for you to understand the differences. 5. Think about your child’s strengths and abilities. An important role for you is to talk about your child’s strengths. Sharing the things your child likes and dislikes with the team can help the school staff to understand and serve your child better. 6. Remember that you are going through a transition, too. The Part C program is very nurturing for families as well as for children. Preschool special education is focused on a child’s educational needs and not on family needs. You will be saying goodbye to professionals who have been significant in your life and meeting a new group of professionals. Give yourself time to adjust to the change.